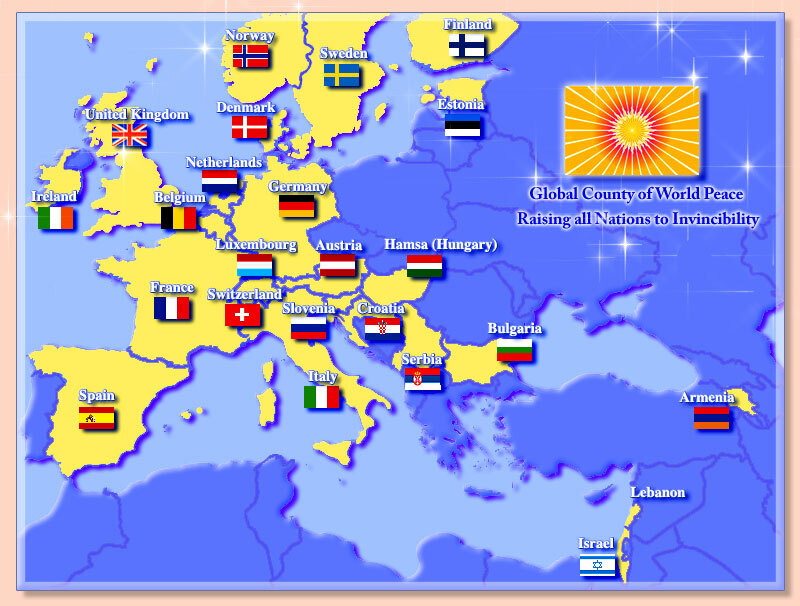 16 November 2008, the first day of the European Parliament of Invincible Nations, Maharishi blessed 24 countries by declaring them as rising to Invincibility on the basis of their having more than the required number of individuals who have learnt the Yogic Flying Technique in the past thirty years. Each of these nations will now consolidate the number of individuals practising Yogic Flying together in large groups, and as well they have passed a resolution to help their neighbouring nations rise to invincibility as well. Armenia, Austria, Belgium, Bulgaria, Croatia, Denmark, Estonia, Finland, France, Germany, Hamsa (Hungary), Ireland, Israel, Italy, Lebanon, Luxembourg, Netherlands, Norway, Serbia, Slovenia, Spain, Sweden, Switzerland, United Kingdom.